This week we’re joined by Drs. John Burney and David Rudolph of Digestive Healthcare of Georgia. “I had to do something positive with all of the comments that I received from teachers growing up that I talked too much,” Dr. Burney quipped. Dr. Burney decided to specialize in gastroenterology because of an influential mentor at Vanderbilt University School of Medicine. Dr. Antonio M. Granda was an attending physician who was passionate about gastroenterology. Dr. Granda brought his medical students to his clinic so they could see patients with him. “He made gastroenterology interesting and exciting and this, in turn, sparked a passion in me,” Dr. Burney said. 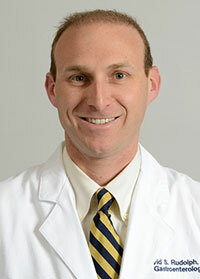 In his spare time, Dr. Burney has coached recreational basketball and has served on the board of a soccer club. He also volunteers and helps to run the soundboard during services at his church. He enjoys playing the guitar and bass guitar and is a big college football fan. 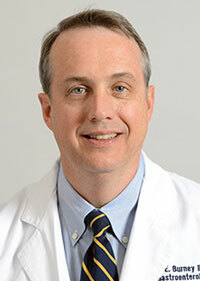 Dr. Burney has been married for more than 25 years and has three children.